Just wanted to praise 1st Class Driving School and especially Norman, for being so great! I passed today with FULL marks and it wouldn't have been possible without all of Norman's help. He was so incredibly patient and informative. My friend also went (with Amal) at 1st Class Driving School and passed with high marks too! Thank you for having such great driving instructors!" "I would like to thank Norman so much for being such an amazing driving instructor!! I'd failed my test twice previously with a different company and then went to 1st Class Driving School and only had Norman for two lessons. He taught me everything I needed to look out for on the road and really helped me stay alert! I would highly recommend him as a driving instructor!" "After doing lessons with '1st Class Driving School' I am happy and confident to tell people that these guys are called '1st Class' for a reason. Norm, my driving instructor, I found him to be very straight forward and thorough which was extremely helpful for me to pass the test. I feel a lot more confident on the road now. Thankyou Norm and thanks for the fun lessons!" "Never could have imagined I can pass my test on the first attempt!! And my super score of 99% !!!! Norm you are an amazing instructor! Thank you for your driving wisdom, patience and clarity!!!" "I just wanted to email to say thankyou so much for organising my lessons with Amal. Yesterday I passed my P's test in Botany and I am so beyond relieved and excited and ready for this new chapter in my life! Amal was an incredible teacher who was patient, understanding and direct. He taught me exactly what I needed to know in order to pass the test, which I did on my first go! I will be highly recommending him to anyone who needs to get their license. I was a highly anxious driver before I started my lessons and had put off driving before I started my lessons and had put off driving for so many years because nerves would always get the better of me. Now, with a baby, not being able to drive was not an option anymore and Amal really helped me set my goal and achieve it in a fast and efficient way. Seven lessons is all it took! It makes me wonder why I waited so long but if it meant I had such a positive experience at the end of the day then I'm glad it did. I really owe him so much. He's changed my life forever! Thankyou again so much for everything. " He was always on time and his directions were plain and simple. I'd recommend 1st Class Driving to anyone. Thanks Sam!" "My 1st Class Driving instuctor changed my driving! As a previously unconfident student learning to drive, my instructor gave me all the tools I would use to pass my test! I would not be able to think 1st Class is driving enough for all they provided my twin brother and me. Any parent looking for a driving school to teach superb road rules and safety on the road will not need to look any further! Thank you 1st Class Driving! THE BEST"
"I highly recommend this school. In the past I had never been able to find a teacher that really understood my needs, was supportive and positive and had a style that I liked and could learn from. This school is great for older drivers as well as young ones. I had been for the test 3 times previously without success. With 1st Class I had a few lessons and then passed first go!!! As an older driver I am so happy that at 31 and after 11 years I finally have a licence, trust in these teachers because they will help you achieve your goals. Your life will change and you will have your freedom." "Re-obtaining your driver's licence as an experienced driver is one of the hardest things I have ever had to do! It requires total relearning of good new driving and road rules habits and the unlearning of the bad ones. Thankfully I had the pleasure of meeting Michael of 1st Class Driving School. 150% committed to my cause without any fuss Michael was quietly persistent in getting me at long last across that frustrating line. A brutal test it is, Michael worked away persistently and professionally to ensure I was fully prepared for the test day. His knowledge of the test route was exemplary. His communication of the countless fail items within the test was legendary. If it were not for Michael's obvious experience, level of caring and committment I do not believe I would have passed with such flying colours. What a relief it was! A hell of a decent guy who I would highly recommend to anyone wishing to obtain or re-obtain their driver's licence. Thank you Michael"
"Hi, I just wanted to thank 1st Class Driving School for helping me pass the test on my first try. I also want to give my instructor Sam a big thankyou for helping me. He's a person with good knowledge and knows very well what he is talking about. I'm very happy. Thanks again." "I was not the best driver and not so confident but all at 1st Class Driving were so informative, helpful and patient from the very first phone call all the way to the test day!! I would highly recommend the to anyone and only have the most positive things to say about the staff and my experience. My instructor was amazing, patient and thorough and I passed my test first go!! They worked on my confidence and built my driving skills. I had gone with another local driving school beforehand and had a very negative experience with them. Coming to 1st Class Driving School was 100% better and exactly what I needed!! Thank you to all the staff and my instructor!! I 100% highly recommend 1st Class Driving School!!" "I am 31 years old and hadn't driven a car since I was 17, so was quite nervous about getting back on the road. Michael made me feel comfortable right away and quickly identified the areas I needed to improve on. His knowledge of the test roads meant I got to practice exactly where the test took place which helped tremendously. Within a month I passed at the first attempt and couldn't be happier! " "My experience was great with 1st Class Driving School. The head of 1st Class Driving School was very helpful and friendly. They confirmed the availability almost immediately and had a very reasonable price. When Michael, my instructor, picked me up, he had a brilliant new hybrid car. He gave me all the right tips and put me in the right mindset. The exam was in the worst conditions ever. It was raining heavily. This is when a good car stands out. In the end, I got the license and I recommend using this school. 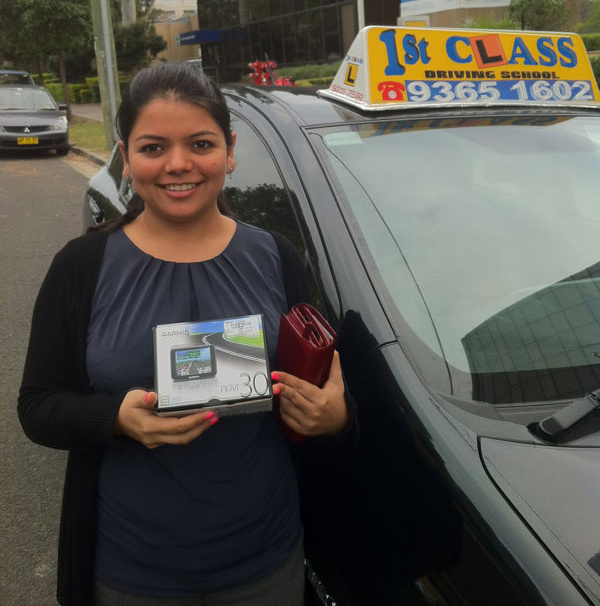 "A huge thank you to 1st Class Driving School for helping me get my driver's license. I was very nervous and apprehensive when I first got my learner's license all those years ago. I stopped and started over a period of 5 years, however, after recently reconnecting with 1st Class Driving School I found the instructors and their skilled methods of teaching to be the motivation I needed to finally get my license. My confidence and competence behind the wheel gradually increased which resulted in a pass at my first attempt. I have no hesitation in recommending 1st Class Driving School to anyone wanting a professional driving school." "A BIG thank you to the wonderful instructors at 1st Class Driving School!! After years of delaying learning how to drive due to my fear of failure I finally decided to give it a go. I booked my test and then called '1st Class' to help me learn and prepare. The instructors were very patient and had thorough knowledge of all aspects of the test. My instructor was motivating and genuinely cared about my progress, rearranging their schedule to suit mine even if it meant 6am driving lessons! I passed my test first go with flying colours thanks to 1st Class Driving School! " "A huge thank you to 1st Class Driving School for helping me overcome my driving fears and learn the skills of safe and confident driving. These skills helped me pass my P test on the first attempt! I found that my instructor was extremely patient, very professional and always open to tailor the lessons to suit my requirements. My instructor always emphasised the importance of judgement and skills required to be a safe driver for life and not just to pass the test. The manager was very prompt in arranging an instructor for me and my instructor was super organised and flexible to arrange lessons to suit my timings. I would definitely recommend 1st Class Driving School to those who are seeking high quality driving lessons at a very competitive price. Thanks again! " "As a student of 1st Class, I found their service to be professional and, as its name describes, truly first class. From the start they listened and tailored lessons to meet my needs. In order to ensure that I was prepared for my driving test, my instructor not only taught me patiently, she also went the extra mile to provide me with additional info and helpful tips that assisted me during the driving test process. Overall, I'm very happy with my instructor's method of teaching as I was taught in a way that I was able to relax and be comfortable wth my driving, all accredited to my instructor's level of experience and ability to connect with me. I highly recommend 1st Class Driving School to any seeking their driving license. " "Hello, Just want to say a big thank you, I passed my test and wanted to say thank you again. My instructor is a wonderful teacher and if I know anyone needing classes, I would recommend you guys without hesitation." "My experience with 1st Class Driving School was great!! My instructor was calm and controlled, in contrast to my parents, and always knew what to do when I got stressed. I could feel my driving improving as the lessons went on and my instructor was always smiling and encourging me, even through my attrocious reverse parking. I loved having this particular instructor, and I may be back for more lessons yet!! " "Having had a terrible experience with my previous driving instructor, my instructor from 1st Class Driving School was a welcome change and breath of fresh air. I found my instructor to be very patient, thorough with explanations and incredibly personable. As a nervous driver I quickly found confidence under her guidance and passed first time. I would highly recommend 1st Class Driving School to any learner." "1st Class Driving School was an amazing way to help me become a more capable and sensible driver. 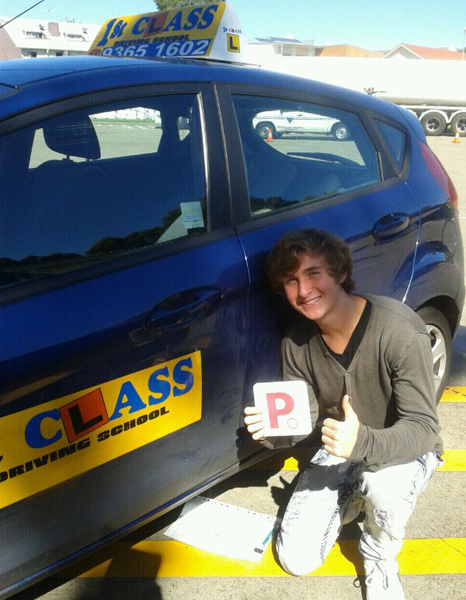 The school helped me receive my P's on the first test and driving with 1st Class Driving School was a great experience! " "First of all, I couldn't thank you enough for the lessons I've learned. The name speaks for itself 1st Class! Apart from teaching me the road rules they also taught me two most important things when you're on the road, confidence and better judgement. My instructor sincerely gave her best to teach me the lessons I needed to learn and I couldn't ask for more. The learning environment was stress free and a wealth of knowledge. I would highly recommend this school to all my friends. And by the way, I passed the test on my first try." "Dear 1st Class Driving School. Just wanted to let you know that I passed my P's test earlier today. Thanks so much for your preparation,really made the whole experience quite bearable." "I have to give a big thank you to 1st Class Driving School for helping me to receive 100%. I couldn't have done it without their patience and knowledge!" "I was thoroughly impressed by the professionalism of the staff at 1st Class Driving School. The manager was prompt in arranging an instructor for me. My instructor was kind, patient, and had extensive knowledge which helped me to prepare for the driving test. He made me feel comfortable and at ease. Also, he was flexible to arrange times that suited me. I felt that 1st Class Driving School genuinely cared about providing a quality learning experience and as a result I was able to pass my first driving test. I would have no hesitation in recommending 1st Class Driving School to anyone seeking quality teaching and learning experience at an affordable price." "Passed my driving test first time, all thanks to First Class Driving School. I had an excellent teacher who had lots of patience and taught me so well. I'd highly recommend First Class Driving School for anyone learning to drive for the first time or re-doing their international license like I did!" "Hi, just wanted to take a moment to thank you for your help when we spoke on the phone and also to let you know how wonderful Michael was. Firstly, it's the first driving instructor's car I've been in which was clean and in perfect working order. Secondly, he was so kind and helpful and really helped me work on a few challenging driving issues I was having and filled me with confidence. I could not recommend him higher. Thank you for your professional and kind service." "I highly recommend 1st Class Driving School. In the past I had never been able to find a teacher that really understood my needs, was supportive and positive and had a style that I liked and could learn from. This school is great for older drivers (as well as young ones). I had been for the test 3 times previously without success. With 1st Class Driving School I had a few lessons and then passed first go!!! As an older driver I am so happy that at 31 and after 11 years I finally have a license. Trust in these teachers because they will help you achieve your goals. Your life will change and you will have your freedom." "As a parent, my first priority is the safety of my children. After making a number of enquiries regarding suitable driving instructors, there was one name that was continually mentioned in glowing terms - 1st Class Driving School. The instructors are extremely thorough in their tuition, managing brilliantly to impart their driving knowledge in a fun, stress free environment. Both my son and my daughter loved having lessons from 1st Class Driving School instructors and we cannot recommend them highly enough"
"1st Class Driving School has been extremely patient and able to get the best from all my children with their training skills. They have a gift. Recently my youngest got 100% in his driving test. Amazing!" "Thank you 1st Class Driving School for the fantastic service. Your efficient and well trained instructors are truly First Class!" "I'm a 35 year old woman and I just got my P-licence last month for the 1st time. I definitely recommend this driving school to anyone. I learnt so much from my instructor. Each lesson he was always informative and kind towards me. I felt very comfortable when I was learning in his car." "4 of my cousins learnt driving with 1st Class Driving School, so it's a matter of time until it's my turn. So I did and passed my first test :) So I recommend 1st Class Driving School to my friends." "My 2 brothers also learnt with 1st Class driving school 5 years ago. We had the same instructor. My parents always made me nervous when I was learning with them, so I'd rather learn with a driving school. I became more confident and defensive on the road. Eventually I finish my 120hrs and passed 1st time!" "Highly recommend 1st Class Driving school to anyone.My instructor was amazing! I was always nervous. He was so patient with me. 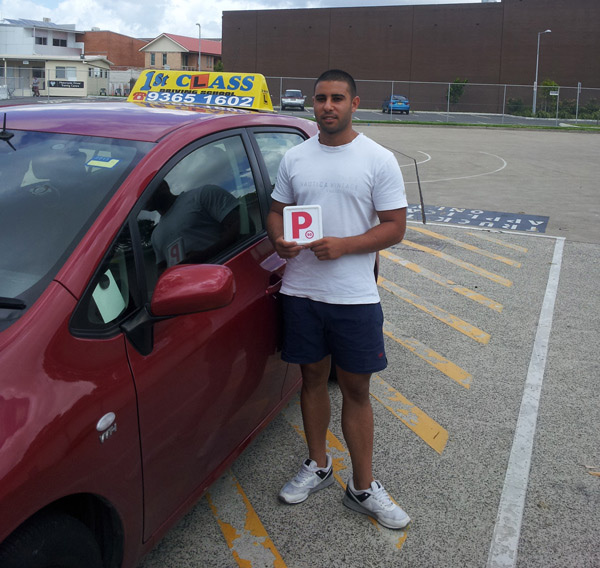 The price for driving lessons was reasonable compare to other driving schools."